Standalone 49-region model, 1:4.5-scale terrain from Mt. Tamalpais in Marin County, California. 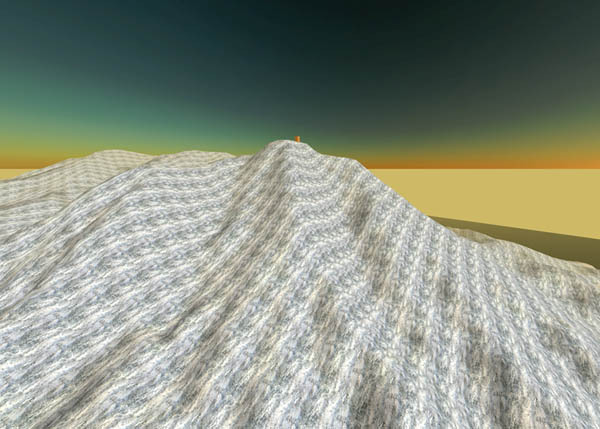 49 regions with no prims take 90s to stand up, and 3:45 to run terrain load-tile with the scaled RL terrain. Server is 1GHz Celeron, 1.5 GB memory, Ubuntu Gutsy, and the load-tile just barely pushes the system into swapping before it completes. This page was last modified on 28 October 2007, at 16:50. This page has been accessed 2,101 times.